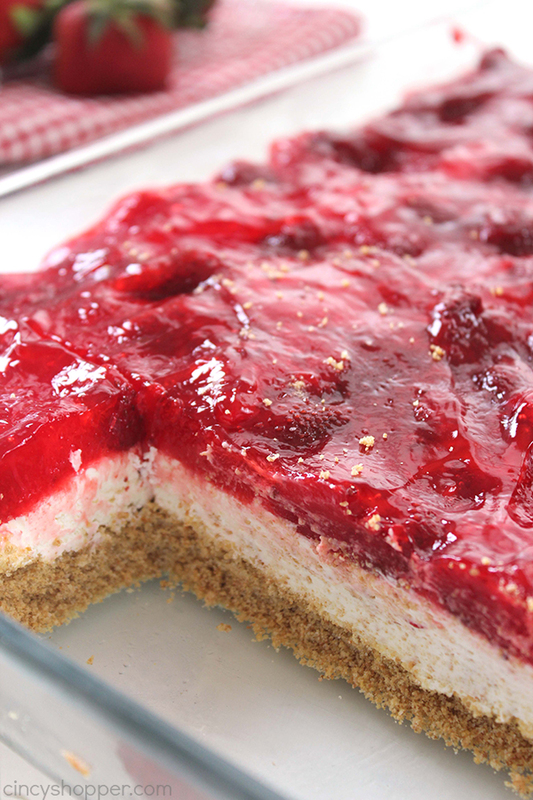 During the summer months, we like to have quick and easy desserts for last minute bbq’s. 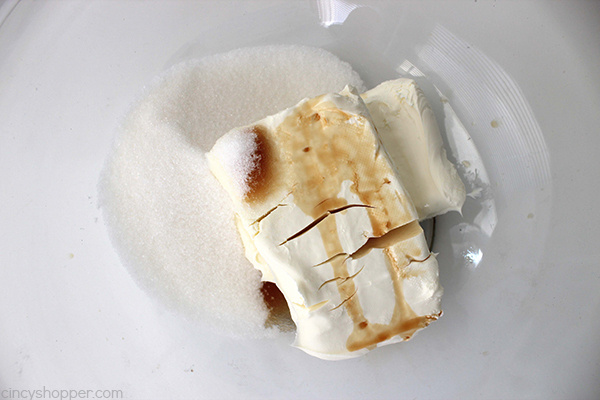 I have shared quite a few desserts here on my blog that you can make when pressed for time. 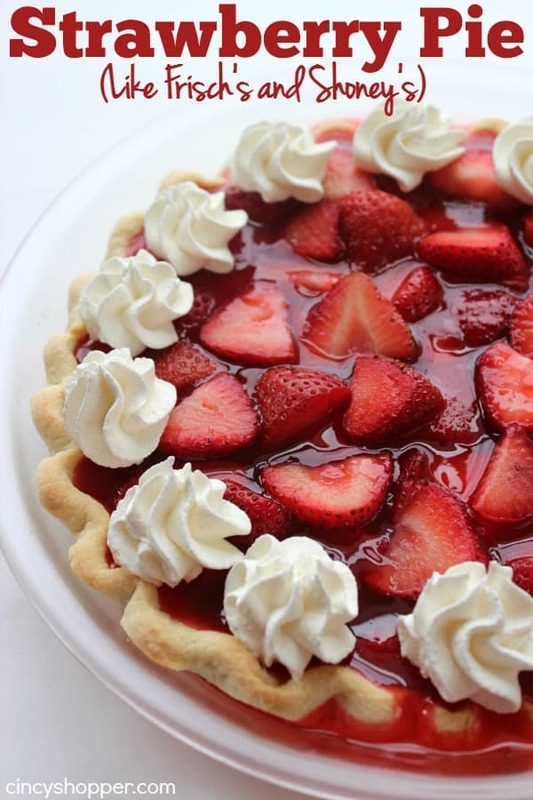 One of my favorites that I have shared is our Easy Strawberry Pie. 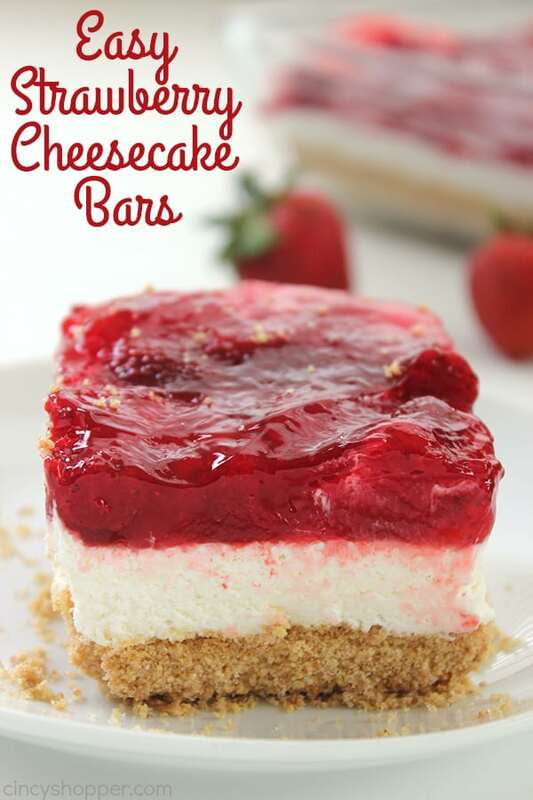 These Easy Strawberry Cheesecake Bars are so super simple too. 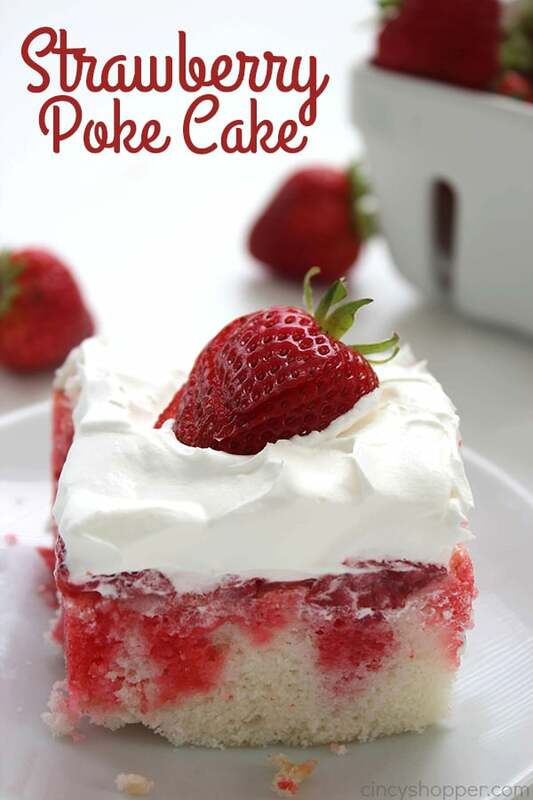 Since there is little prep, it is perfect when you need a dessert for picnics, BBQ’s, and potlucks. 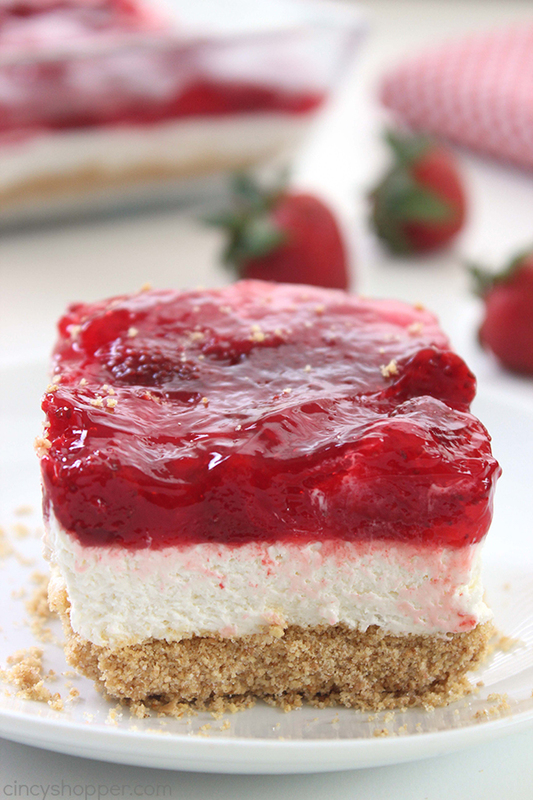 We love No Bake Cheesecakes like our No Bake Strawberry Cheesecake. 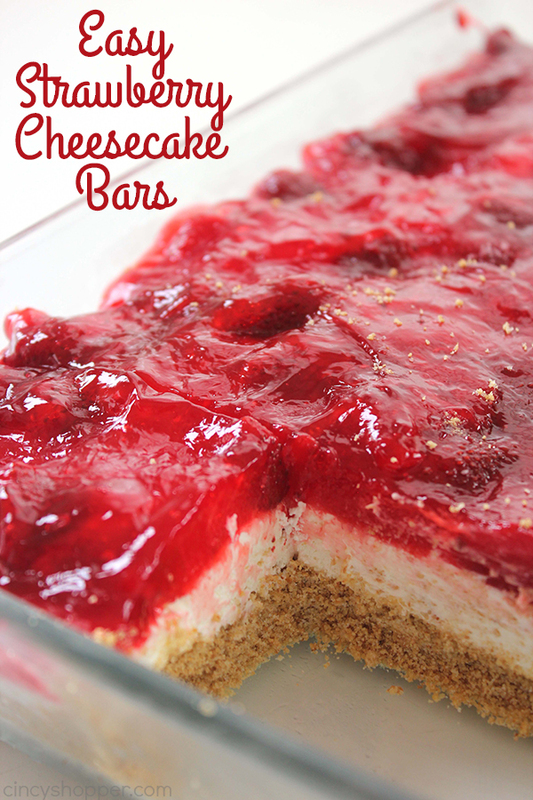 Regular No Bake Cheesecakes are easy but more difficult when you are needing a dessert that feeds a crowd. 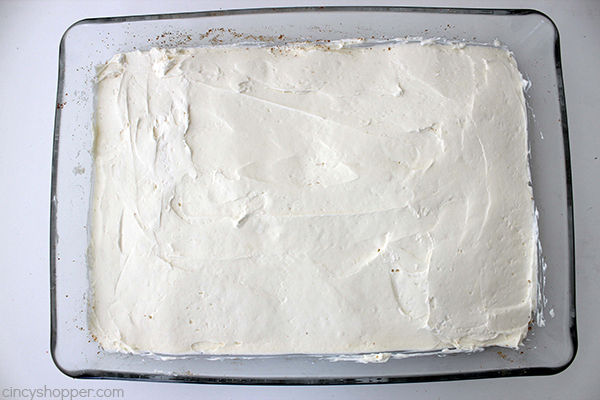 Desserts that can be transported in a basic cake pan/casserole dish are best. These cheesecake bars were perfect for feeding our group this past weekend. The pan was gone in no time because everyone insisted on having just a small piece. That small piece turned into seconds for most of us, ha ha. Having these bars in the pan made them simple to serve. 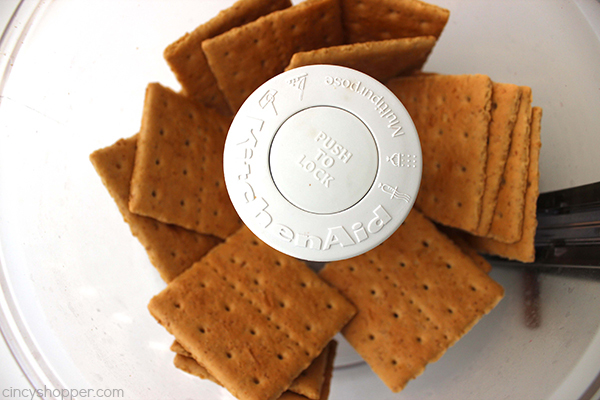 I sliced them into squares and we were able to lift them out with a simple spatula. 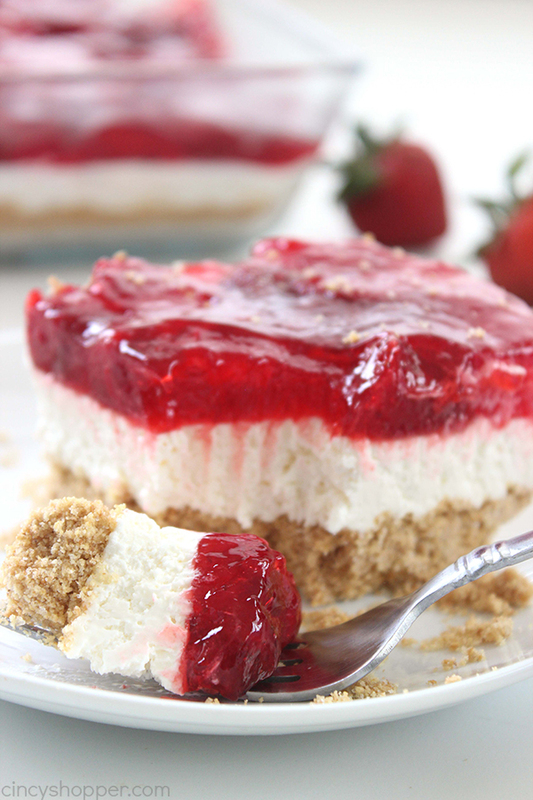 The graham cracker crust with the layer of cheesecake filling paired perfectly with the strawberries. 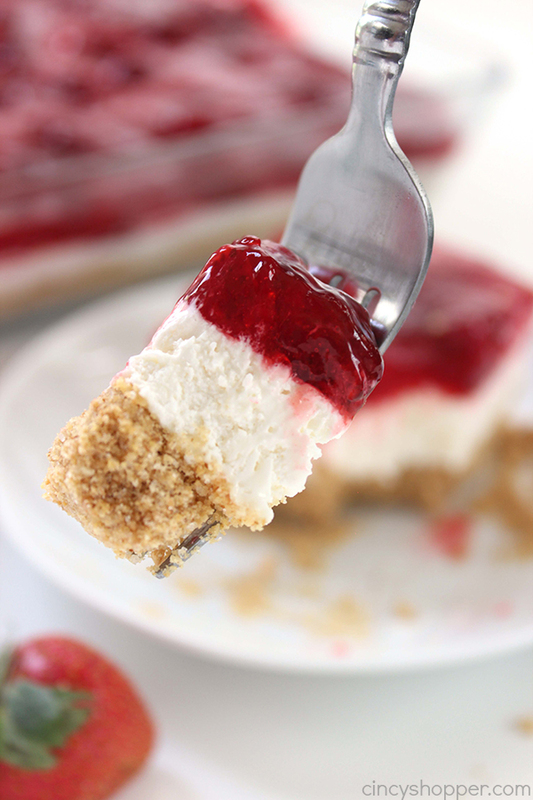 To make this easy crowd pleasing cheesecake dessert, you will need cream cheese, graham crackers, sugar, butter, Cool-Whip, and pie filling. 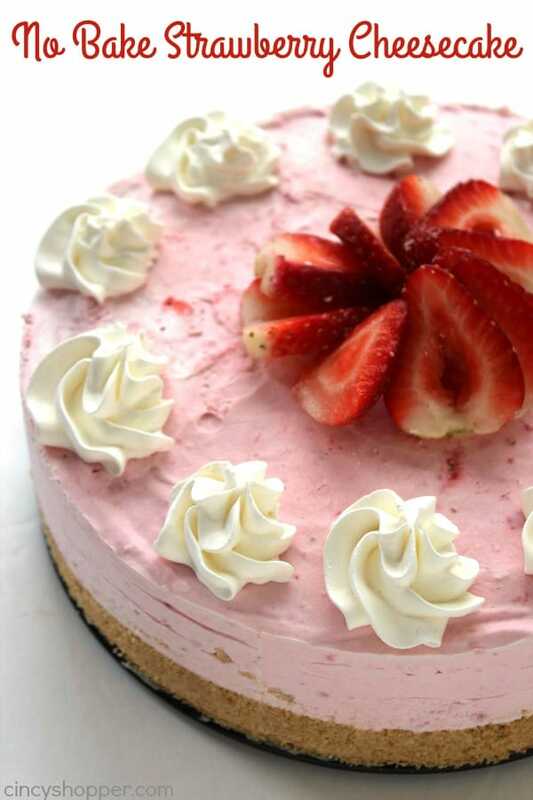 I used a strawberry pie filling because we love strawberries. You could also use blueberry, cherry, or even peach pie filling. 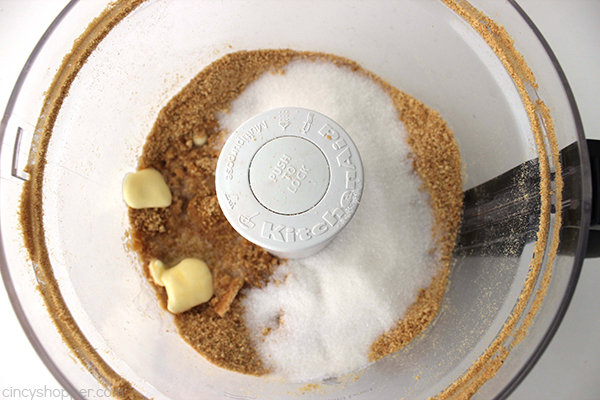 Mix together graham cracker crumbs, melted butter and 1/2 cup sugar until blended. Press mixture into prepared dish firmly to form crust. 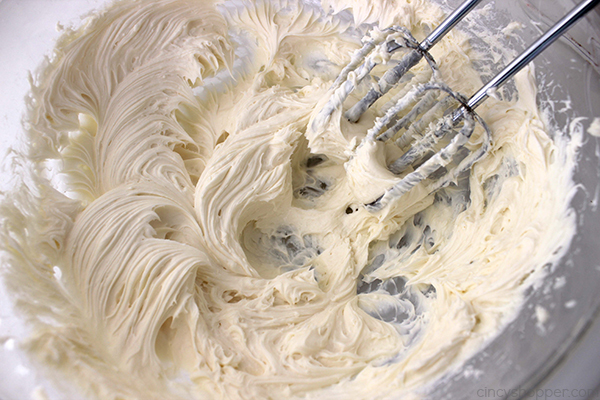 Beat together cream cheese, remaining 1/2 cup sugar and vanilla until blended and creamy. Spread mixture into cooled crust. Chill in freezer or refrigerator for 10-15 minutes. 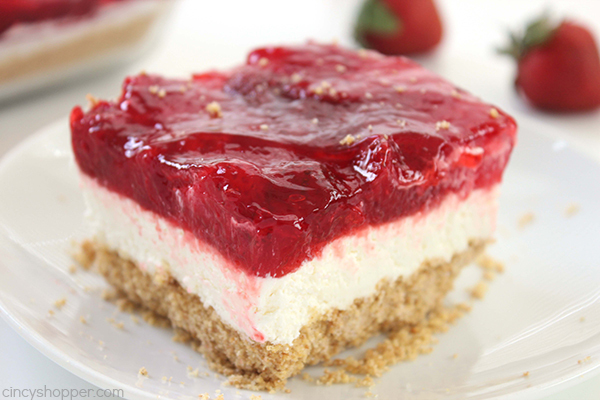 Spoon/spread strawberry topping on top of cream cheese layer. 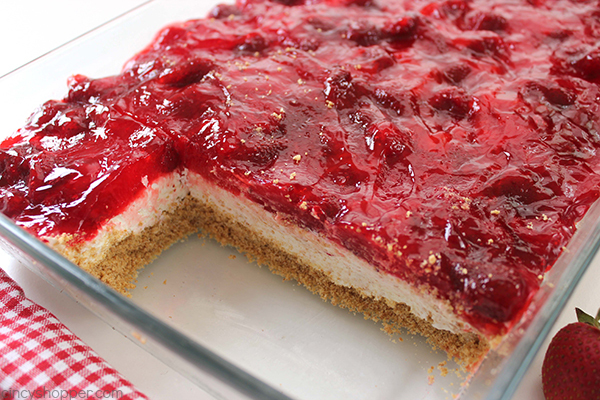 Do you have a favorite easy dessert that you make for summer potlucks? 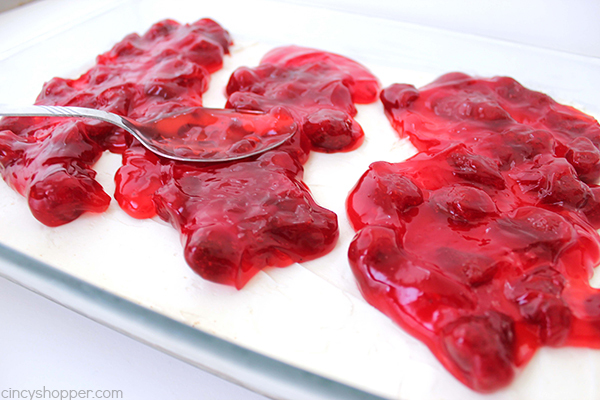 I make a similar recipe with Jello and strawberries but I am going to try this recipe with strawberry pie filling. 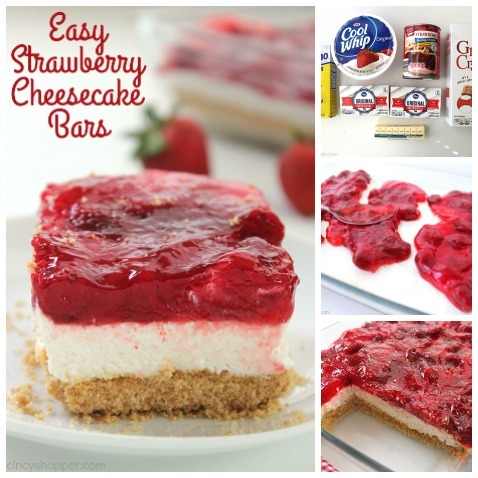 I am all about easy recipe and this looks much easier and I bet it is extremely yummy! I have tried many of your recipes with much success! Could you please list how many people the recipe serves? I live alone, and would like to make some of these EMS for myself. OhMyGoodness, what a delicious cheeses cake.. Amazing pictures and perfect cake! 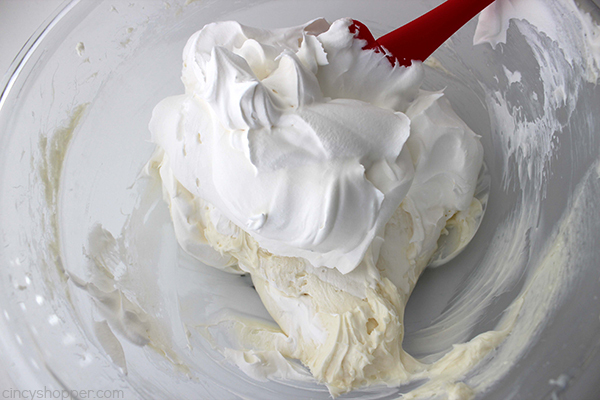 1 cup confectioners sugar – when does the confectioners’ sugar go in? These look simply delicious. Thanks for sharing at the Monday Funday Party!! 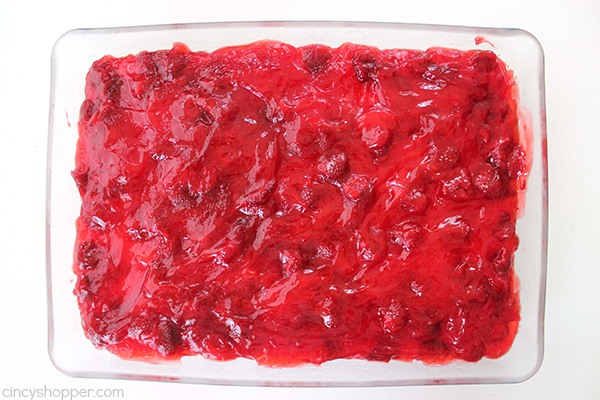 What brand of pie filling do you use that looks so bright red and delicious? 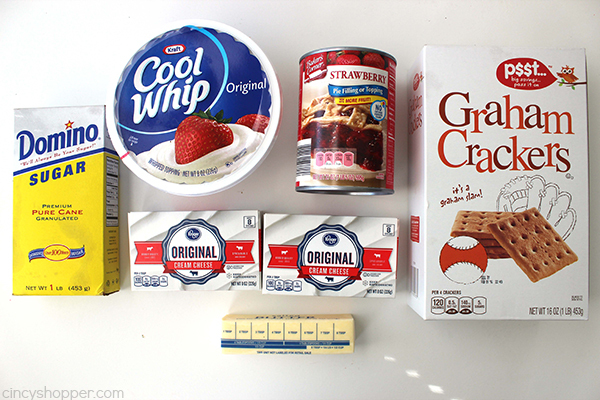 I used a Duncan Hines brand and when I opened the can it was a grayish pink bunch of mush with grey strawberries. I spread it on anyhow. Then I tasted one of the strawberries and it tasted how it looked. I scraped it all off and I’m going to put frozen strawberries on top. We’ll see how that turns out. 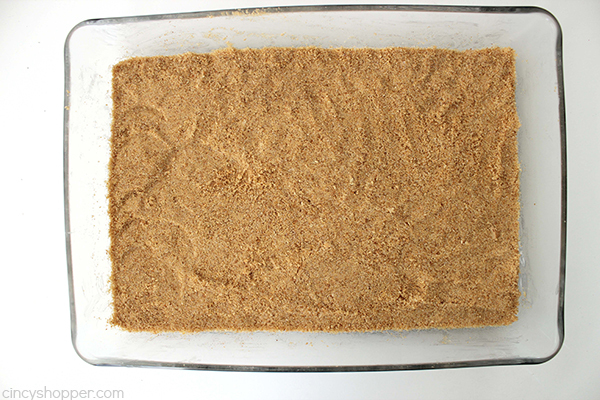 Do you think a brownie crust instead of a graham cracker crust would be good?